Product categories of Water Jet Weaving Machine, we are specialized manufacturers from China, Water Jet Weaving Machine, Water Jet Machine suppliers/factory, wholesale high-quality products of Water Jet Looms Machine R & D and manufacturing, we have the perfect after-sales service and technical support. Look forward to your cooperation! 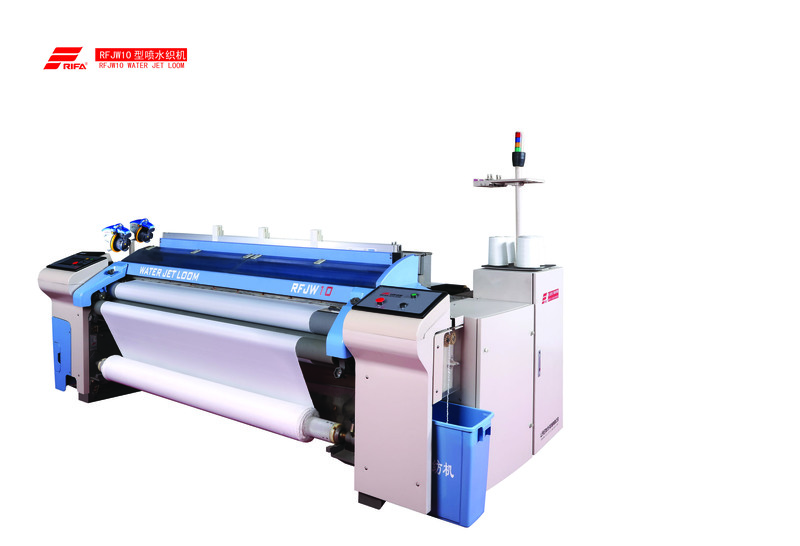 RFJW series Water Jet Weaving Machine ,It is easy for this model looms to weave finest and thickest yarn, Reducing warp location line,narrow and wide fabrics, high pick density and double layer fabrics. it's designed for high speed and high efficiency, Actualize man-machine conversation though high clear colored touching screen. High strengthened frames of RFJW10 looms ensures stable insertion and excellent performance. New type ceramic nozzles canenhance the stability of insertion during high speed running.